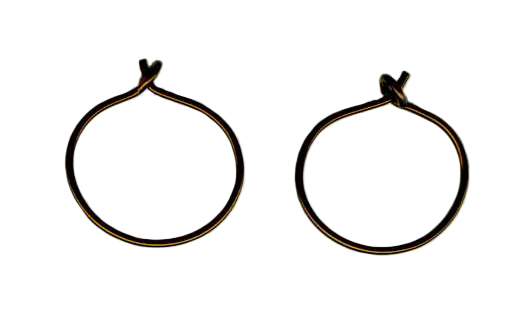 These continuous hoop earrings are hypoallergenic, handcrafted with 100% niobium wire. The hoop measures 15mm in diameter. The niobium wire is 21 gauge, light weight and comfortable. These earrings are made in the USA.